First of all, I would like to thank for giving me the precious opportunity to attend The 3rd A3 Roundtable Meeting on Chemical Probe Research Hub held in Jeju, Korea from October 31st to November 3rd in 2018. I had a great experience to develop an understanding about various global leading-edge studies. In the oral sessions, many professors presented their great research involving the topics of bio imaging, nucleic acid, total synthesis, new strategy and so on. I got much knowledge about various studies and motivation from their presentations. And I felt they were really enjoying the discussion. I thought that I want to be like them, so I have to study more and do my best for my research. In the 2nd day, I had a short oral presentation (3 min) and poster presentation in this meeting. The title of my presentation was “Development of chemical probe based on the plant virulence factor coronatine”. I talked about chemical probe approach to reveal the mechanism of plant-microbe interaction in stomata induced by small molecular. During the poster presentation, I got some questions and valuable comments about my research from professors and students. I have gotten a lot of encouragement from everyone’s opinion. One of them advised me about the timespan of my research. He asked me how I gather up the results before my graduation and said that I should think with expanding my scope and do some new strategies effectively. He made me realize to think about the whole of my research more than now. I’m going to apply his advice to my research and make my research better. 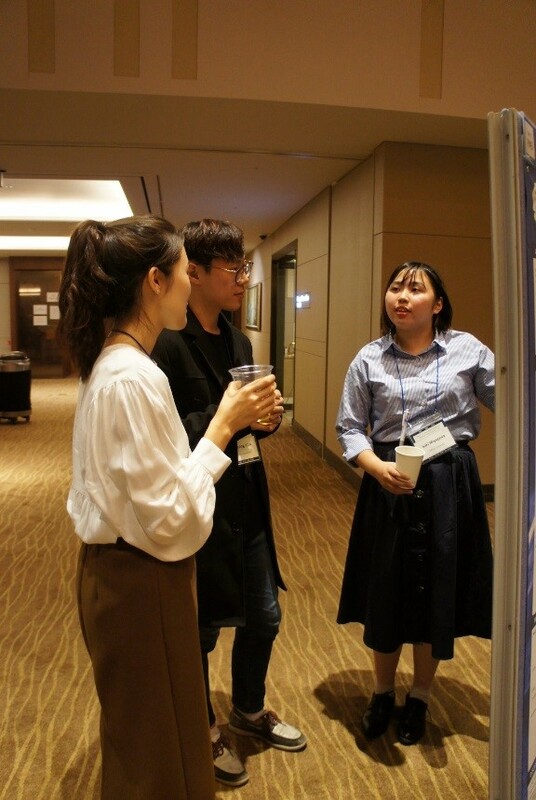 In addition, I heard the poster presentations of other students. They were so smart and taught me about their research happily. I was glad to talk and discuss a lot directly with professors and students from Korea, China and Japan. These experiences made me get confidence to talk in English and explain my research. Finally, I would like to thank to all organizers and all members in this meeting. I will value relationships with people gaining acquaintances in this meeting.